The Amazon’s system of protected areas has grown exponentially in the past 25 years. 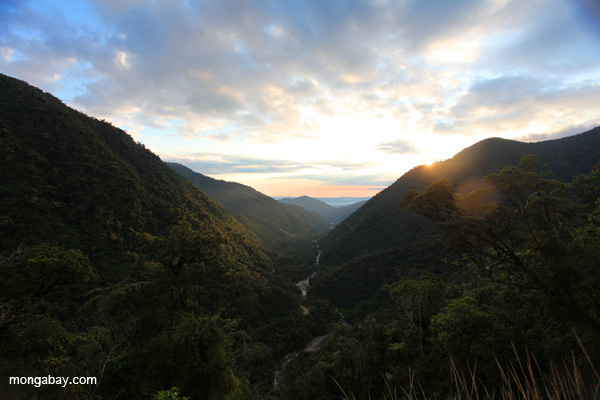 In many South American nations, the mission of protected areas has expanded from biodiversity conservation to improving human welfare. However, given the multiple purposes and diverse management of many protected areas, it is often difficult to measure their effect on human populations. This Special Reporting Initiative (SRI) will ask: what are the true effects of Amazonian protected areas on people, both locally and globally? How have the goals and priorities of protected areas in the Amazon basin shifted in recent years to speak to the needs of people? Are there models of protected area management in the Amazon that are more effective at improving human welfare? What are the perceptions of local people living near or inside protected areas? How and why are protected areas in the Amazon basin still failing to meet the needs of people, either locally or globally, and how can these issues be addressed? This SRI must focus on South American countries containing Amazonian protected areas and possibly other places where people are benefiting from those areas (with particular emphasis in Brazil, Peru, Bolivia, Ecuador and Colombia). This SRI must ask: what is the objective of a protected area, where is that objective documented, what can we really expect from them. Your proposal will be evaluated based on the originality of your idea and your ability to write a series of interesting and engaging stories. Mongabay.org will commit up to $20,000 to fund the top proposal: $15,000 as a stipend and up to $5,000 for reporting and travel costs. You will have three months for travel and research and three months for writing. You can work from anywhere in the world.